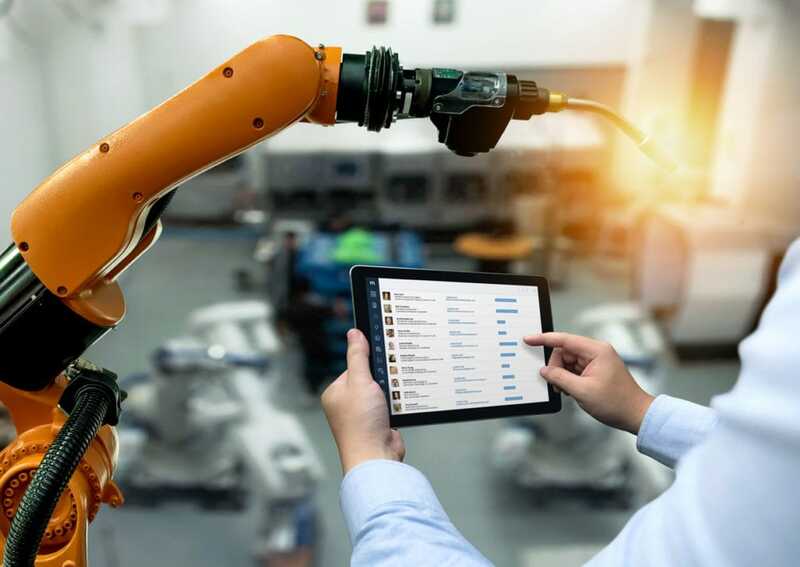 In the manufacturing industry, customer relationship management (CRM) software offers a modern approach to customer service by compiling data from various sources. However, not all CRMs are created specifically for manufacturing businesses. As you consider the best type of manufacturing CRM software for your company, keep an eye out for these key features that will give you the best value for your money. The manufacturing sector requires the use of sales partners in order to move goods from inventory to retail shelves. However, finding leads is only part of the solution. As a manufacturing manager or owner, you also need to improve your focus to find high-quality leads (HQLs). To hone in on those distributors and retailers who convert into sales, start with your CRM software. The ability to manage lead data is an essential feature of a manufacturing CRM, allowing you to track interactions with prospects. Those who respond positively to phone calls and marketing emails can be highlighted, making your job of finding HQLs a lot easier. Whichever CRM software you select, there are two factors to keep in mind. Technology continues to evolve, and your various software platforms need to remain compatible. As a result, you’ll want to opt for a CRM solution that offers built-in integrations with your existing programs. For instance, manufacturing businesses that already use QuickBooks for accounting should look for a CRM that integrates with QuickBooks. A two-way sync between programs takes this integration to the next level, by eliminating the need to input data multiple times. Along with integrations, a CRM platform that can be customized offers the most flexibility. When considering a CRM solution, take a look at the user interface or UI to see how intuitive it is. The design of the UI should be fully customizable for your company and team members. This gives you the greatest potential for growth within the system as your business needs evolve. A customizable manufacturing CRM can also benefit your customers if you provide access to your system for tracking goods in transit. For example, if your CRM includes a customer-friendly dashboard with GPS tracking for freight leaving your warehouse, this is a huge value proposition for your company. Collaboration is paramount in manufacturing, whether you are discussing new production methods or supply chain issues. Being able to communicate within one system enables your team to have ongoing internal discussions. More importantly, these discussions can span various teams at your company, such as sales or accounting. Manufacturing CRM software should congregate all of your sales data, inventory records, and conversations about potential HQLs in one place. When information is readily available to all parties using the system, it eliminates communication errors or overlooked details. Ninety-five percent of American adults now have a cell phone, according to the Pew Research Center. The whole world has gone mobile — including manufacturers. However, taking advantage of this technology is about more than just communicating with your team via text or setting up a mobile-friendly website. Mobile optimization also enables your CRM software to be universally accessible. By using a mobile CRM, you can view customer information, look up an order, or check inventory on your phone no matter where you are. All of these features have the commonality of helping your company provide consistent customer service. When everyone in your company is on the same page, there is little room for lapses in communication. Manufacturing CRM software gives everyone access to the same information, eliminating mixed messages that can lead to lost sales. CRM data also gives your company the tools it needs to evaluate your current practices. You can better identify any gaps in lead generation, email marketing, sales, and order fulfillment. With factual data on hand, your management team will gain the confidence needed to make smarter business decisions. A final word of wisdom when looking at manufacturing CRM software: make sure the system can increase service capacity if needed. Ultimately, the goal of using a CRM is to increase your service capabilities and bolster your bottom line. By choosing a program that can grow and expand with your business, you’ll be well on your way to achieving that goal. Ready to get started with a manufacturing CRM?